3. 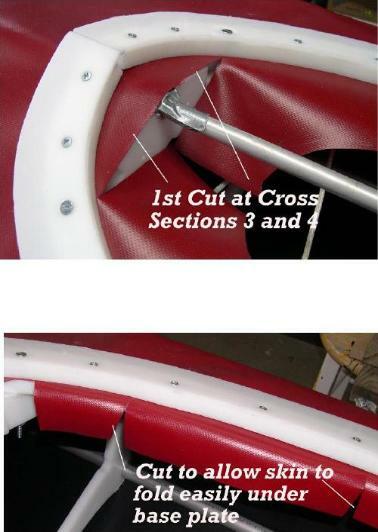 Cut the PVC along cross section 3 and 4 between the coaming inside edges. 4. Cut the skin in sections small enough to easily conform to the shape of the coaming edge. Trim the folded under sections to the width of the base plate.